Book Description: Confident, sassy, career girl, Lola meets cool, handsome, unpredictable hunk, Wole at a party in London. He pushes all the right buttons for her, and sparks fly. Wole is also irresistibly drawn to Lola, and before long, they get together in a wonderful romance. But Wole is not all that he seems, and he is holding back some dark secrets. Things start to unravel when Wole’s past begins to catch up with him and Lola has to decide if Wole is worth the trouble that threatens to overwhelm her. Find out in this captivating book if their love will overcome the trials of a murder investigation, an arrest, a meddling relative and a trip halfway across the world, or whether they both give up and go their separate ways. 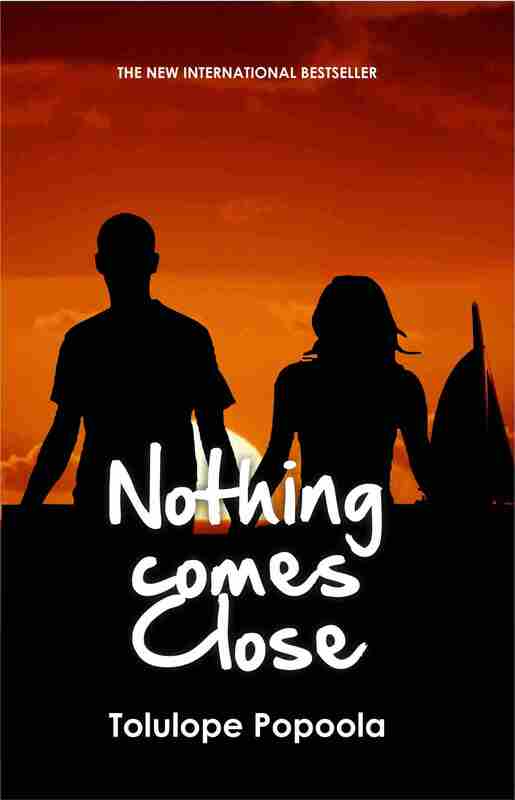 Reviews for "Nothing Comes Close"
In her debut novel, Nothing Comes Close, Popoola, explores a theme familiar to most of us, which is that of finding love. The novel is the story of Lola, a young woman living in London, England. We also meet her friends, Funmi, Temmy and Maureen. These middle-class, professional women, are not only bound by a Nigerian origin highlighted by colourful cultural snippets, they share a long-term friendship that has survived boyfriends and the passionate disagreements that come with intimate relationships. Lola's world, takes an unpredicted tumble when she meets the mysterious Wole at a house party. This chance meeting, is where this fast-paced, romantic novel, really begins. In their circle of friends, Lola has the designation of being the practical one. Yet, she is not equipped to deal with chaos that meeting enigmatic Wole brings into her life. Woven into the story, are glimpses into the lives of the other women as they confront or escape from the challenges life throws at them. Just like people we know, the choices they make are not always admirable. Still one gets a sense, they are trying to deal with life as best as they can. Nothing Comes Close is not without its imperfections. There are moments when the motives of the characters appear unclear and one becomes impatient with the pace of the story. However, an unexpected death, imprisonment, betrayal and dark secrets, add twists that make this book much more than a boy meets girl story. A fine debut. One word: Riveting. Sometimes unsettling. That’s how I can best describe Nothing Comes Close – Tolulope Popoola’s sequel to her award winning series, now published into a novel. “Nothing Comes Close” is the love story of Lola – the most outspoken and independent friend in a group of five girlfriends. The book touches on topics such as romance, loyalty, grief, and tolerance/acceptance of each other among friends who don’t necessarily see eye-to-eye on certain issues, for example, having relationships with a married man; or say, cheating on a boyfriend with an ex-boyfriend. The highlight for me, however, was the story of Wole’s past. Wole is the male protagonist in the novel and is also Lola’s love interest. To make Wole’s story pull the reader’s heartstrings, the Ms. Popoola did a very fine job of bringing into play a quite forgotten character in Nigeria’s history - Dimka – the man who led the abortive military coup against the then head of State of Nigeria, General Murtala Mohammed. I see many readers researching this important piece of Nigeria’s history as they read this book and I really appreciate the author’s effort in bringing that to the reader’s attention. A truly African love story, Nothing Comes Close shows us how African women fall in love—cautiously but completely. It is London sometime in the 2000s. Four young women—Lola, Funmi, Temmy, Maureen, and Titi—are caught up in the usual London hustle, doing the career thing and still finding time to look pretty at parties and bars. But their lives aren’t perfect, especially for Lola, who is nursing a broken heart and hanging on to a job—as a financial analyst—that she doesn’t like. At a house party organized by one of the girls, she meets Wole. The attraction is instant, but in her classic Nigerian-girl approach to romance, she is hesitant, always worrying about “losing all sense of caution.” But when unexpected tragedy strikes in the form of a murder, the force of desire heightened by the pain of loss drives Lola into Wole’s arms. From that point, the driving question of the plot becomes: will Wole reward her need for comfort with love or will his dark past destroy their chance for happiness? Right there you have the elements for a perfect romance story—a broken hearted young woman and a guy with a dark secret. But, then, it is what Popoola does with these elements that makes the novel such an entertaining read. The “dark secret,” for example, is smart and significant. Of course, I’m not telling. All I’d say is that I appreciate that in creating this defining characteristic of the romantic hero, Popoola dips into Nigerian history in a way that is not only learned but lovely. 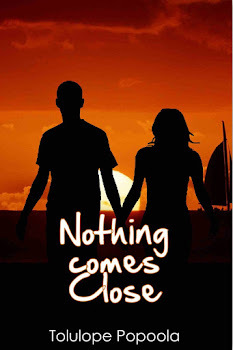 Tolulope Popoola’s Nothing Comes Close is a book that I enjoyed reading, not only because of the story but because it was well written. 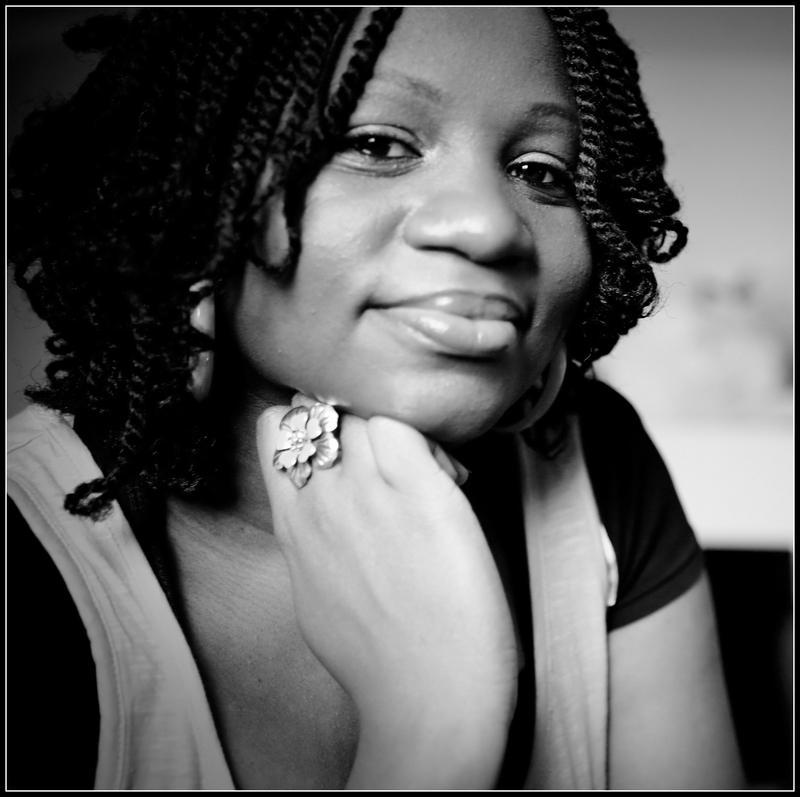 The book is about Lola, a young Nigerian woman living in the UK. She’s got four girlfriends each with her own dynamic personality and relationship issues, but great friends nonetheless. Along came Wole, she loves him, he loves her too, but it will not be that simple. Riveting secrets, intruding sister, murder charge and a friend’s death are few of the many things they will have to deal with. The characters are quite familiar, almost all of the characters reminded me of someone I know, and that is one of the things I love about the book. The lead characters are also well developed for the plot. I would have loved to see more of Naija culture sprinkled here and there in the story though. The story is also captivating, I was really eager to know how it will all end. My prediction turned out wrong though, I was actually hoping there will be a more dramatic ‘no-happy-ending’ turn of events. But the unpredictability added a tasty spice to the story. I find the end a bit mushy, but I guess it will be the delight of some readers especially the hopeless romantics. I have this habit of picturing books I like as a movie in my mind. Nothing Comes Close is a book I will really love to see as a movie, I can actually picture the characters and scenes in my mind already! I hope that day will come. Richard Ali, Editor-in-Chief, Sentinel Nigeria Magazine. 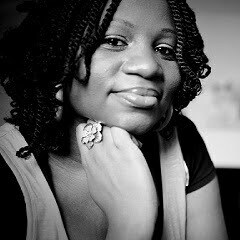 Tolulope’s book definitely belongs to the genre of chick lit in that it shares the stories of Lola as the main character and three of her other educated, highly achieving Nigerian friends looking and in some cases finding love in London, United Kingdom. These young women are Lola, Funmi, Temmy and Maureen and each of these women come with different personalities that will seem quite familiar to those who keep and have a close knit collection of female friends. Almost like sisters, we get to feel the familiar angst as they circumvent different issues of love and life in London while keeping close ties with their cultures. For many of us, these stories will resonate - you know the story of a woman who dates a married man, another who crosses tribal lines because of love and also the issues that come with such crossings and of course another who deals with having a loved one on the other side of the law. We find ourselves crying, jumping with glee and generally, ‘cheesing’ at different junctures of the book.